Fiona Xia is relied upon by her Urban Real Estate clients for her acute business acumen, and tremendous ability to walk them through every component of the transaction. With a Master in International Business and Management from the University of Manchester in the United Kingdom, and a Bachelor of Business Administration and Finance from Benedictine University, her academic and stellar corporate background in finance and sales help make the most creative deals come together. The Northeast China native prides herself on making and maintaining relationships near and far, and growing her network along the way, which has created inbound and outbound real estate clients buying and selling in Chicago, and across the globe. 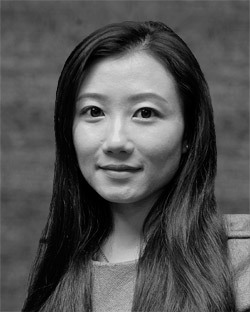 Fluent also in Chinese (Mandarin), and conversational in Spanish, her clients rely on her expertise and cultural awareness to help make solid investment decisions. In her first year at Urban Real Estate, Fiona was recognized with the brokerage’s highest rental volume award for 2016. In Chicago, the majority of Fiona’s clients buy, sell, or rent in the Loop, River North, South Loop, West Loop, Lincoln Park, and Lakeview communities.